Who Cracked the Rosetta Stone? Its discovery is regarded as a pivotal moment in code-breaking history. The secret of hieroglyphs was cracked by scholars with help from a section of granite carved with pictographs, the written ‘languages’ of the ancient Greeks & Egyptians. The Rosetta Stone afforded us a Glimpse into one of the world’s greatest cultures, through the dillegent work of 18th and 19th century European scholars, the once elusive language of the Egyptians was made comprehensible to modern man- or so we are lead to believe. A London researcher claims that hieroglyphs had been decoded by an Arabic alchemist, Abu Bakr Ahmad Ibn Wahshiyah hundreds of years earlier. The canon in Western thinking has been challenged by Dr Okasha El Daly, from UCL’s Institute of Archaeology who claims Western scholars were not the first to decipher the ancient script, and found evidence that shows Arabian scholars broke the code a thousand years before. knocked down a wall of Fort St Julien, near the city of Rosetta on 20 August 1799. Egyptian writing prior to the stone’s discovery & later decipherment had been illegible. Rubbings were taken of the stone’s inscriptions – two styles of hieroglyphics and one of ancient Greek – and they were sent back to France for further examination. 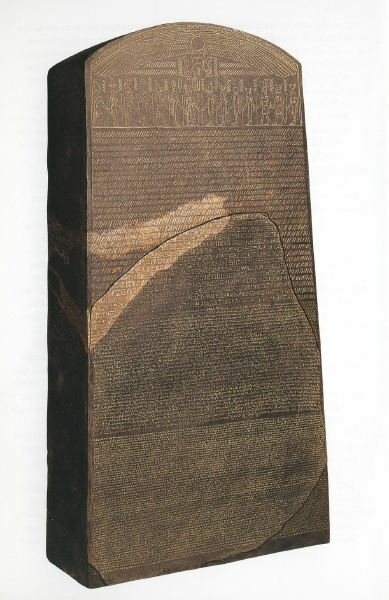 The full length and total size of the text of the original stele, of which the Rosetta Stone is a fragment, can be guessed at by comparing stelae & other copies of the same order. In a similiar stele a hieroglyphic sign for “stela” on the stone itself suggests that it originally had a rounded top & estimated to have been about 149 centimetres in height. When French troops in 1801 surrendered Egypt to Britain, the victors demanded the Stone be included in the surrender. The French authorities refused but after much deliberation & threats of retribution, it was taken to the British Museum on board the captured French frigate HMS l’Egyptienne. 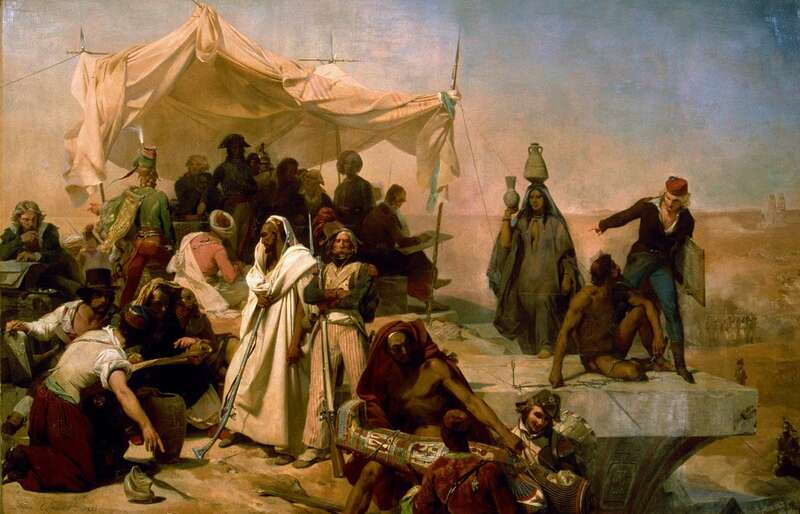 An unusual aspect of the Egyptian expedition was the inclusion of a contingent of 167 scientists assigned to the French force. These scholars included engineers and artists, members of the Commission des Sciences et des Arts, the geologist Dolomieu, Henri-Joseph Redouté, the mathematician Gaspard Monge, the chemist Claude Louis Berthollet, Vivant Denon, the mathematician Jean-Joseph Fourier, the physicist Étienne Malus, the naturalist Étienne Geoffroy Saint-Hilaire, the botanist Alire Raffeneau-Delile, and the engineer Nicolas-Jacques Conté of the Conservatoire national des arts et métiers. This deployment of intellectuals is considered by some Historians as an indication of Napoleon’s devotion to the principles of the Enlightenment and by others as propaganda obscuring the true motives of an imperialist expansion. Considering Napoleon’s Freemasonic roots, & his penchant for unorthodox strategies this author believes it may have been partly both. The study of Egyptology had been dominated for two and half centuries by a Euro-centric view that throughly ignored Arabic scholarship. 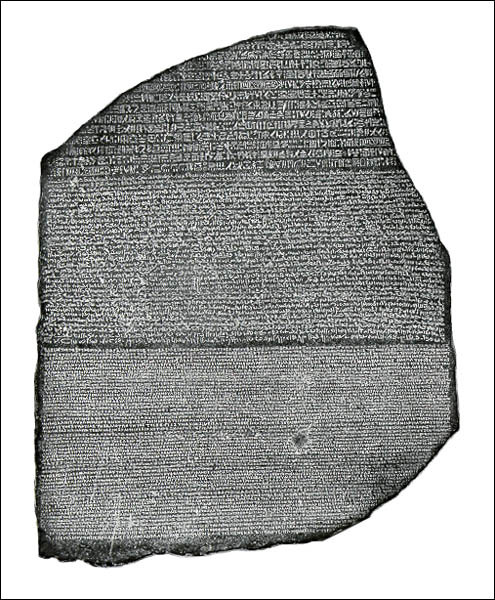 However claims have been recently raised pertaining to the discovery by arabic scholars that put Champollion’s creditation in doubt and that the Rosetta Stone was already decoded, eight centuries earlier. An expert in both ancient Egypt and ancient Arabic scripts, El Daly spent seven years studying Arabic manuscripts in private collections around the world looking for evidence that Arab scholars had unlocked the secrets of hieroglyphs. He eventually found it in the work of the ninth-century alchemist, Ibn Wahshiyah. The code to understanding the ancient script was lost to antiquity and then rediscovered by Arab scholars, who deciphered the language, a whole eight centuries prior to Champollion. These were people who possessed great astronomical and mathematical knowledge. Decoding hieroglyphs & other written codes was well within their skill sets. These were learned peoples & not wandering pockets of people disconnected by a primitive desert. Sadly, many of the antiquities collected by the French campaign were seized by the British Navy and ended up in the British Museum including the fabled stone itself. Protests by the Egyptian Government on behalf of the Cairo Museum to return the stone have been rejected by the British authorites and remains to this day property of the British Royal Museum. 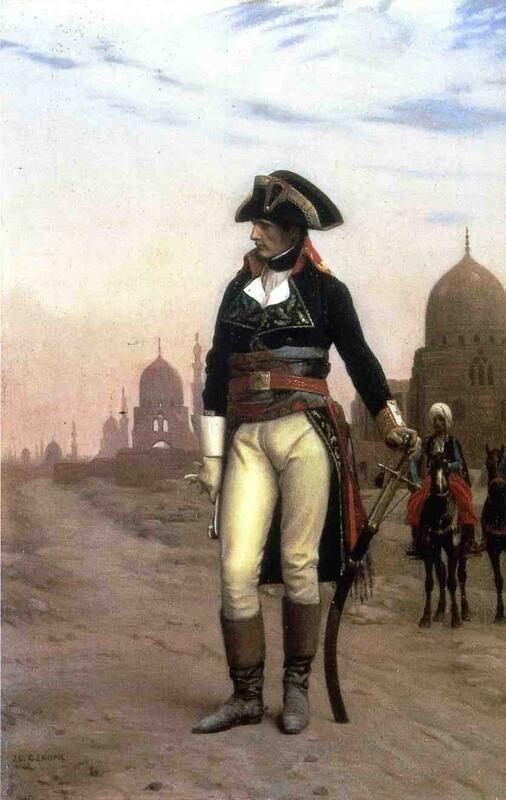 Napoleon’s discoveries in Egypt however still gave rise to a fascination with Ancient Egyptian culture and the birth of Egyptology in Europe.